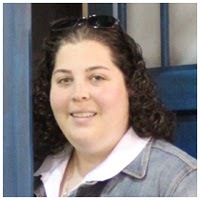 Posted at: 8/15/2011 09:29:00 PM . 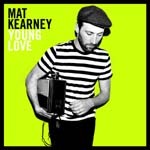 I was sent a copy of Young Love by Mat Kearney from One2One Network to listen and review. All opinions are 100% mine. Prior to writing this review, I had heard of Mat Kearney in passing but did not know all of his music. I do have Nothing Left to Lose on my iPod and enjoyed it however I had downloaded it after hearing it on the radio and never actually looked for more by the artist. Young Love is a really good album with very catchy lyrics and fun beats. It's not slow but it also doesn't have those club beats that make your head hurt after a few minutes. The full album is about forty minutes long and contains ten songs. Hey Mama is the first single off the disk and I can see myself clapping along if I was at a concert. Speaking about concerts, this album gave me the feeling that he would be fun to see live. I think the songs in their natural state could be amazing because they have that instrumental sound that isn't overly mixed and electronically "improved." I really liked the lyrics to "Count on Me" which actually count (in a way) with each line. The beat was fun and the lyrics were just well written. The only song on the album I really didn't like was Rochester. The melody wasn't as upbeat as the other songs and the lyrics were depressing. I'm not sure if the lyrics are true, because he talks about going to Vietnam and I don't think he's old enough, but the main lyrics he is singing are about the abuse he received from his father. It was a very real look at child victims of abuse and kind of a downer compared to the rest of the tracks. Overall, I would suggest this album. It's currently under $5 on Amazon for the digital version and out of the ten songs, I really liked nine which is a great value. I saw one track list showing an extra track but it was not on the copy I was sent or listed on the Amazon page. Disclaimer: I was sent a copy of Young Love by Mat Kearney through the One2OneNetwork. I was not compensated for this review but by writing it I am entered to win a Visa gift card. Additionally, I have applied to review his live concert when he visits Philadelphia in October.